Many notable people have lived in Parsippany-Troy Hills from Chris Singleton to Steve Krisiloff. With many beautiful places to see, it is no wonder you want to call the local area home. Even if you are here for a short time, you do not want to be stuck in bed with a toothache. You just don’t have the time to deal with one. Fortunately, there are many options available to you for dentists and specialists in Parsippany-Troy Hills. 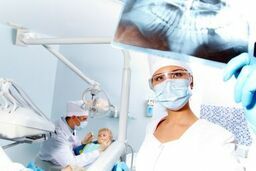 Emergencydentistsusa.com wants you to know that you do not have to worry about a thing when you head to our website. We have compiled a list of dentists and specialists in the Parsippany-Troy Hills area for you to view. You will find that the list contains general dentists, cosmetic dentists, pediatric specialists, periodontists, orthodontists, and more. We invite you to take a moment to browse the list, but if you are unable to, then we invite you to call our toll-free dentist hotline now. Our team will speak with you and determine the best dentist for your needs and refer you to them. We can schedule your first appointment for you and provide you with directions to get to the new office. We do suggest that you arrive up to 20 minutes before your appointment time so that you have adequate time to fill out paperwork. You should also bring your valid ID, insurance card, copayment, list of current medications, and allergies with you. If you are in pain due to a toothache, you need to know that there are options available to you to receive care. In Parsippany-Troy Hills, you will find a variety of options to include general dentists to specialists. Often times, when you need to see a dentist, you will see a general dentist who will diagnose and treat the problem. However, if your general dentist is unable to do that, he or she will refer you to a specialist who can perform the procedure. Description: Advanced Family Dentistry is a full service general and cosmetic dentist who is ready to meet your needs and provide you with the dental care you need. We specialize in veneers, bridges, implants, and more. If you have any type of fear of the dentist, talk to our team. We offer sedation options to ensure that you are always comfortable while here. Description: NKS Dental is here to help you with all of your dental care needs. We want you to know that our team is ready to help you learn how to properly brush and floss your teeth to prevent cavities and gum disease. While we do emphasize preventative care, we also specialize in major treatment options such as root canals, fillings, extractions, and more. Description: Rauchberg Dental Group specializes in family dentistry and treats patients of all ages. Each one of our dentists is trained to handle any dental issue you may face. We offer a wide range of comprehensive dental procedures from orthodontics to restorative procedures. Our dentists take time to learn each and every day as much as they can about the latest dental technology and innovations to improve your experience. Tooth pain can be very difficult and if you are in pain and it has lasted for more than two hours, it is time you seek out emergency dental care. Many times, pain is the only warning that you will receive that will alert you to a serious problem, so you must pay attention to it. If you have been involved in an accident, then you will want to head to the local ER first or urgent care center to ensure that you do not have any serious injuries or broken bones. Whenever you head into a new dentist’s office, you should take some time to check out their licenses, credentials, and certifications. To do this, you will want to visit the New Jersey Dental Association and search for the dentist’s name. You can also ask about the dentist’s credentials when you are in the office. Many dentists do post this information in their office reception area.